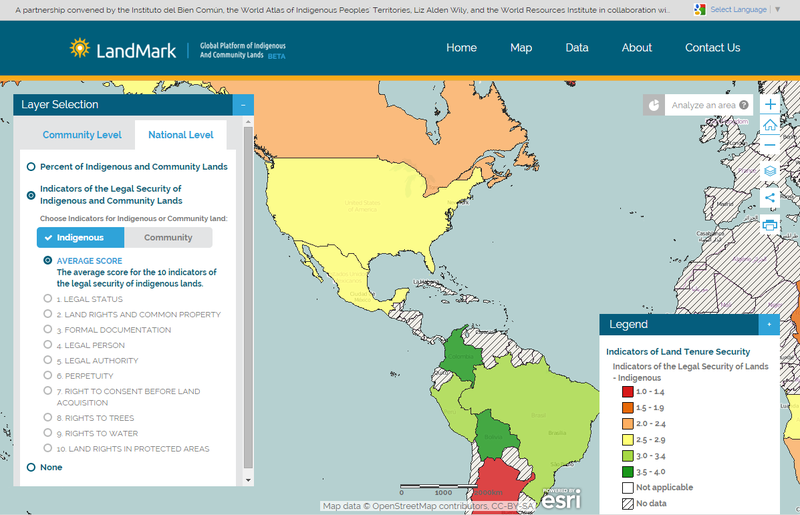 Blue Raster partnered with the World Resources Institute (WRI) and a 13 member Steering Group to create LandMark, the first-ever attempt to build a global repository of community land rights data. Launched on November 10, the LandMark website is the world’s first interactive global platform to map these lands. According to WRI, up to 65% of land in the world is held by indigenous peoples and local communities, but only 10% is legally recognized as belonging to them. LandMark aims to help these communities publicly document their land boundaries, particularly in countries where there are no systems currently in place to do so. “Blue Raster has been a great asset to the World Resources Institute and our partner institutions in designing and developing the LandMark mapping platform. Especially valuable was their proficiency in creating a flexible product with a big-picture view towards future growth and development, as LandMark is a project that is constantly evolving,” said Katie Reytar, Senior Research Associate at WRI. Companies who are interested in identifying areas for potential investments and want to reduce company risk and costs associated with acquiring contested land. Community members and groups supporting them who are looking for a platform to proactively document their land publicly. Governments, to better recognize community land rights and encourage fellow public officials to take action based on examples of other nations. General public, to gain a better awareness of the extent of land rights issues worldwide. To learn more about the project and see the platform in action, check out WRI’s project page.